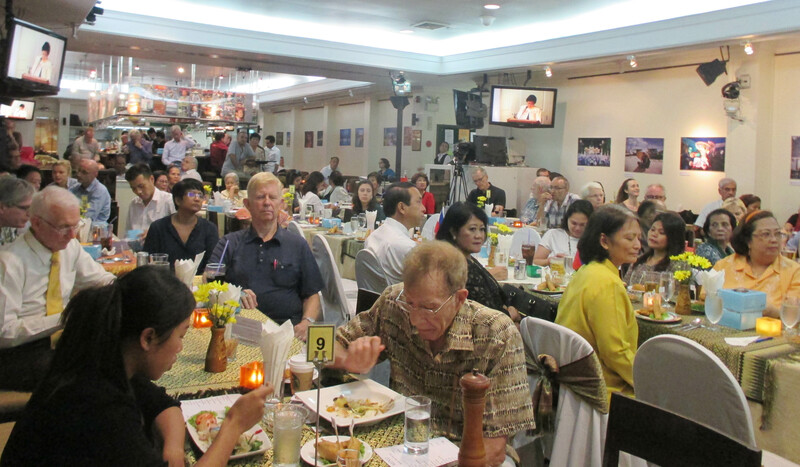 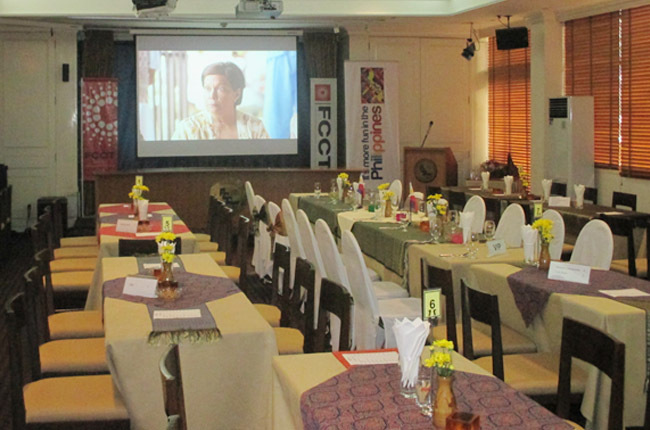 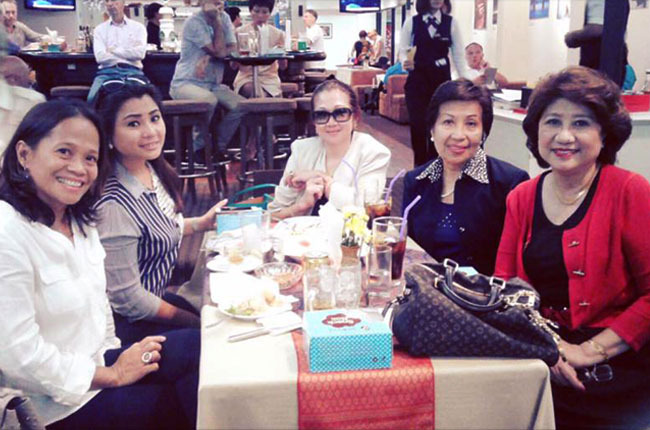 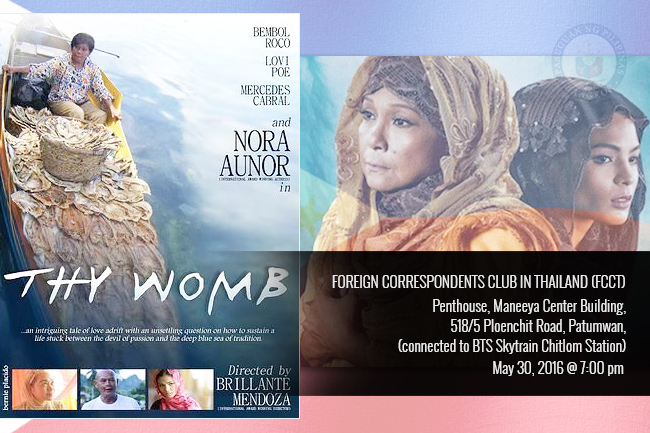 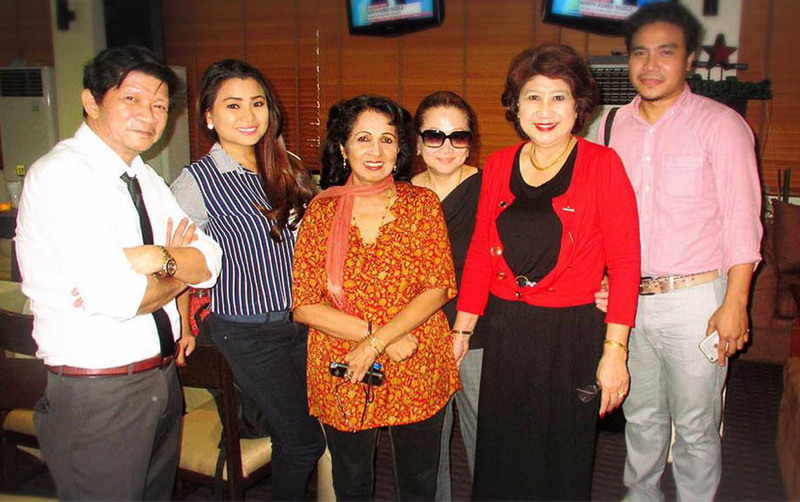 Renowned Filipino drama film “Thy Womb” was screened at the Foreign Correspondents’ Club of Thailand on Monday evening, May 30, 2016 at Penthouse, Maneeya Center Building in Bangkok. 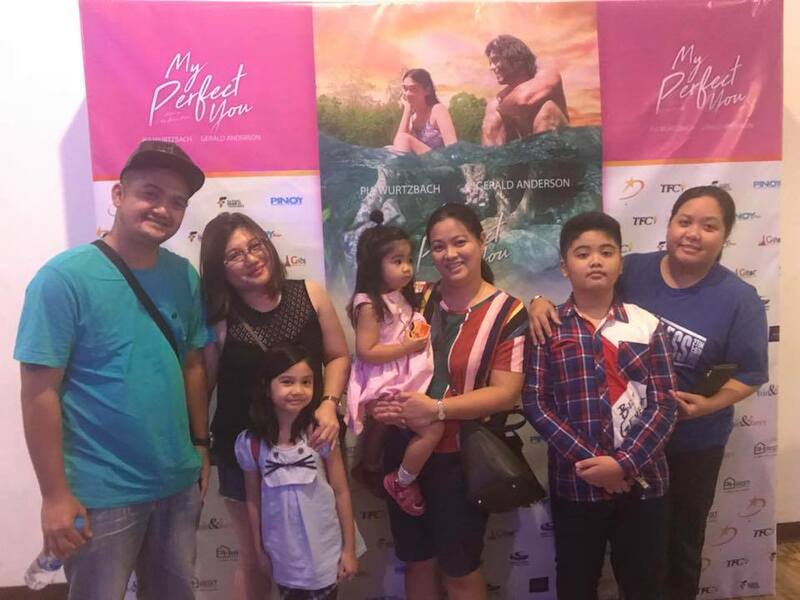 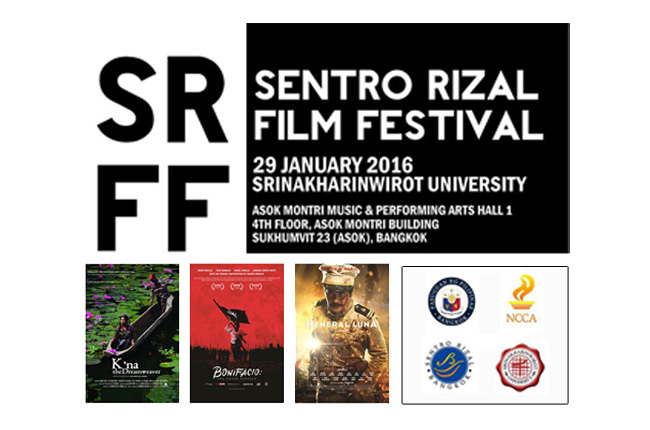 The film which was directed by equally famous Brillante Mendoza magnificently showcases our rich Filipino heritage. 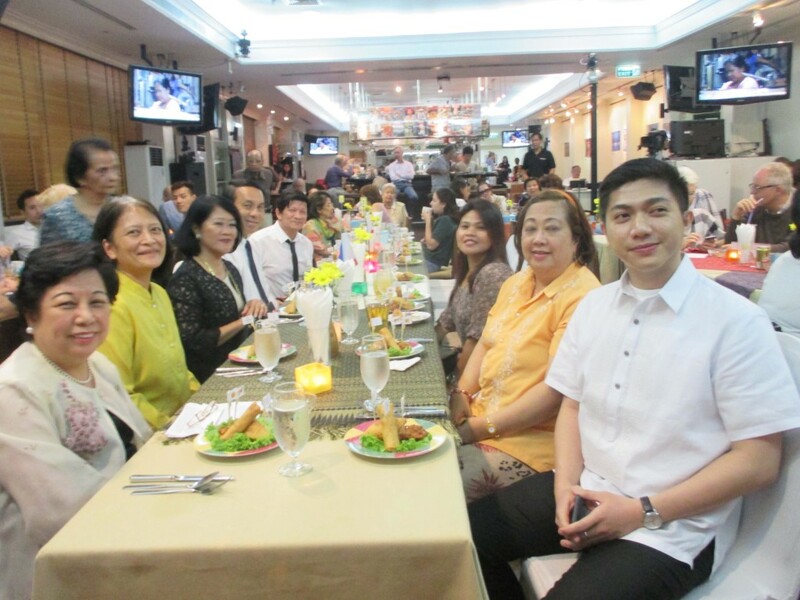 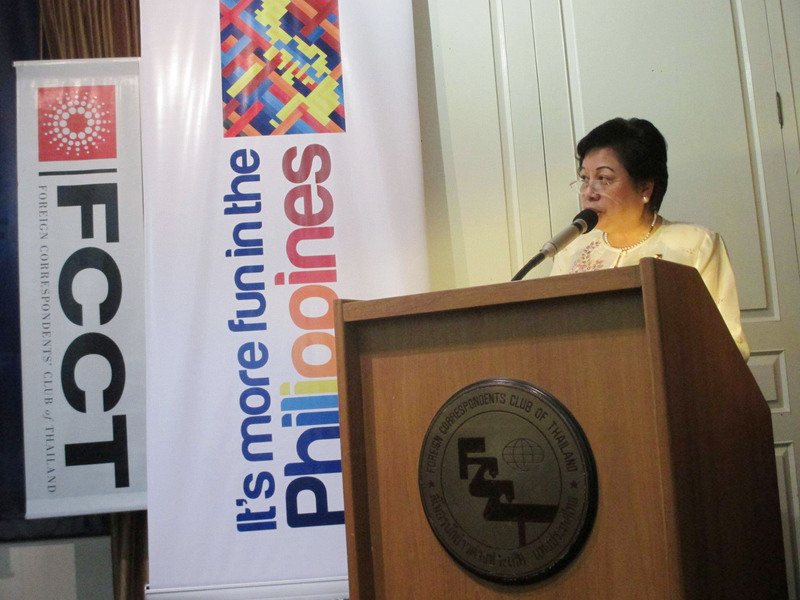 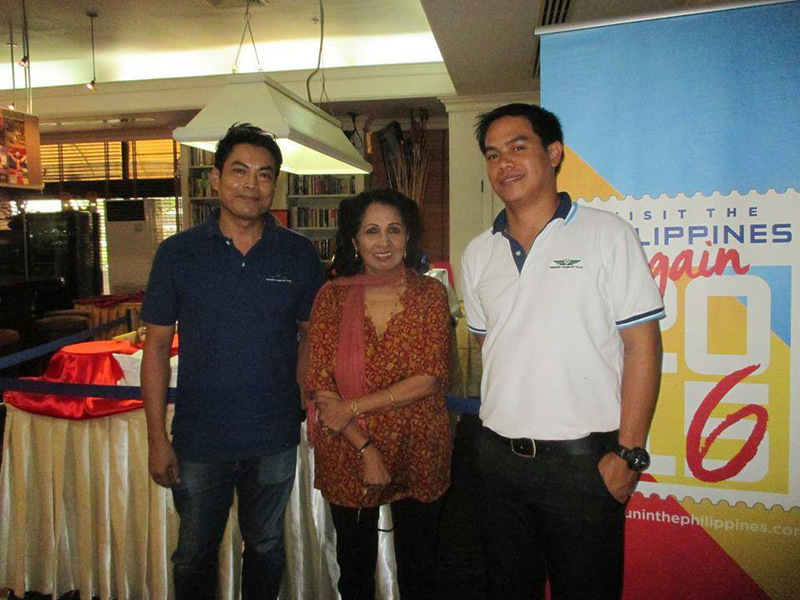 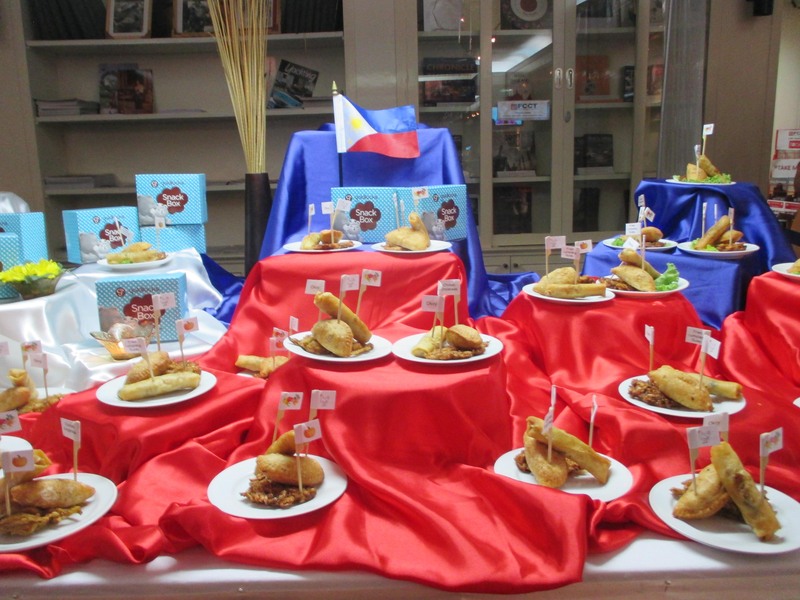 Her Excellency Ambassador Mary Jo A. Bernardo-Aragon along with other Embassy officials graced the event. 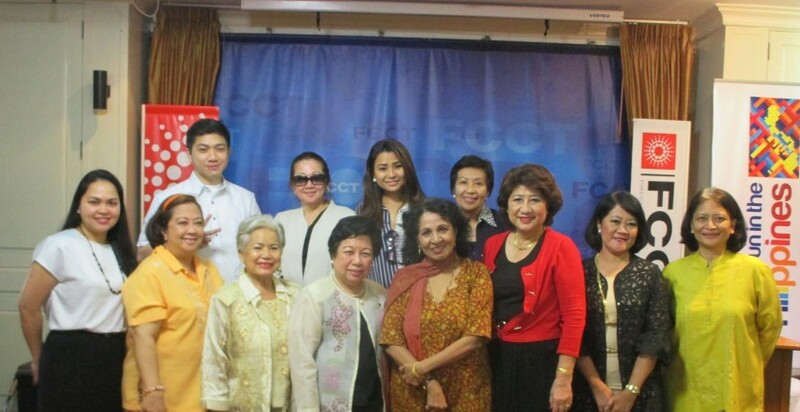 It was also attended by top Filipino community leaders including Ms. Aurora Buan Cornelio, pioneer and pillar of the Association of Filipinos in Thailand (AFT), Ms. Angie Dela Rosa-King, president of the United Filipinos in Thailand (UFT), Ms. Arlene Rafiq, president of Interior Design Group and Mr. Percy Roxas, editor-in-chief of Lookeast Magazine. 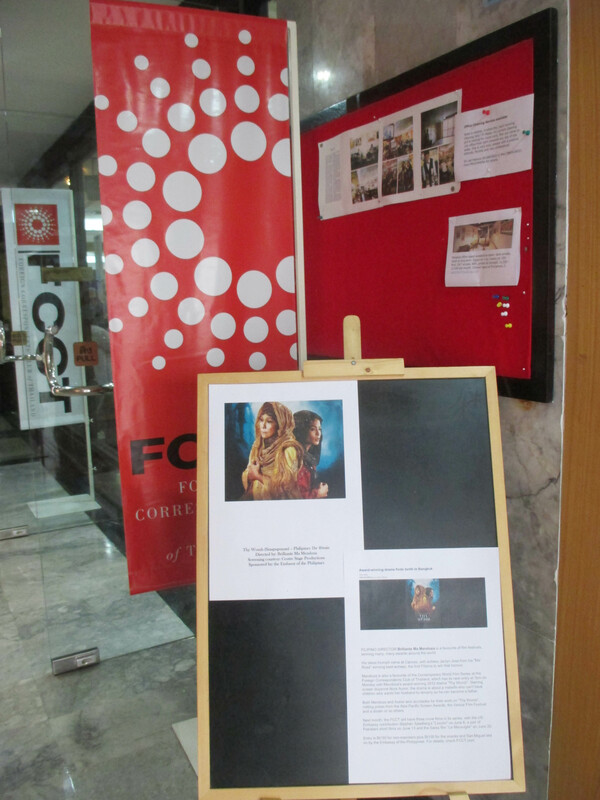 Below are some of the photos taken during the film screening. 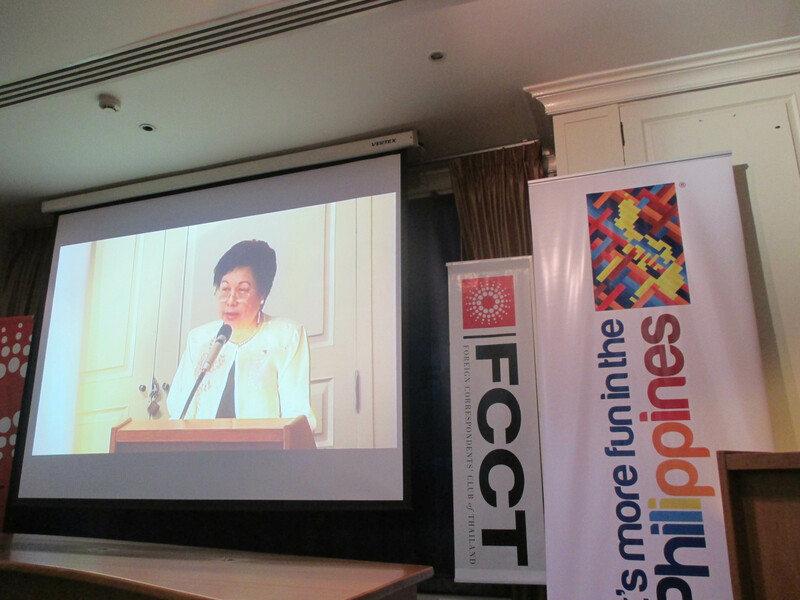 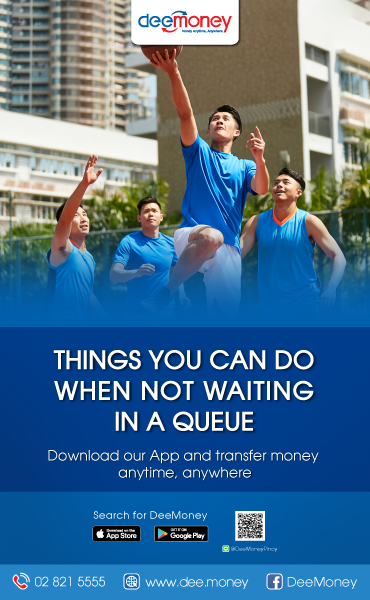 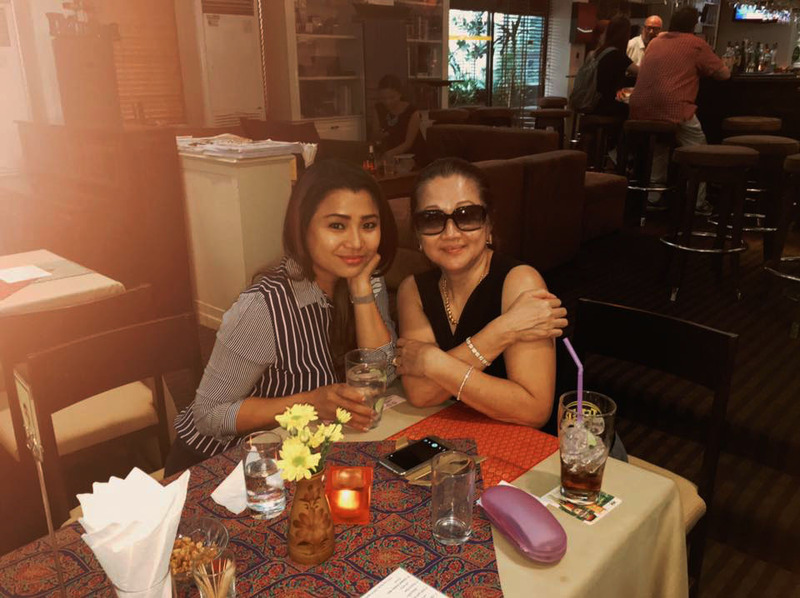 Photos are courtesy of Ms Angie Dela Rosa-King and Ms Lekha Shankar, FCCT president and the main organizer of the event respectively.